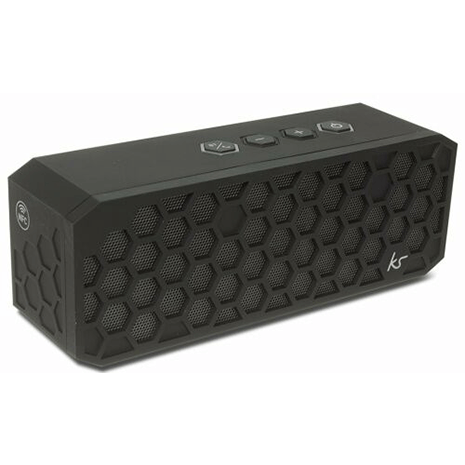 The Kitsound Hive 2 is a portable, rugged speaker that cranks out much more sound than other speakers this size! 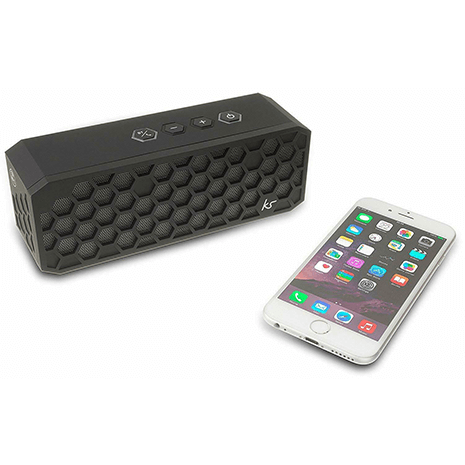 A small sized, power house of a Bluetooth speaker! If you want a go anywhere, rugged speaker that sounds as good as it looks you can't gofar wrong with the KitSound Hive 2. Bigger and better than the original Hive speaker in every way including an increased sound output with better clarity. The KitSound Hive 2 is equipped with 40mm active drivers and digital amplifier which delivers a whopping 12W of sound - which for a portable speaker is HUGE. The Hive 2 delivers warm, rich bass tone that are complimented by a delicate but clear mid range treble. The Hive 2 can take a fair share of punishment. You can knock it around knowing that the solid construction doesn't just look good, but its well protected as well. You can take it anywhere, and with 12 hours of battery life, it will keep playing music the whole way. Smart devices with Bluetooth can easily connect to the Hive 2 and the majority of mobile phones, tablets, MP3 players and computers can access its wonderful sound through the line-in connection. Received a call that interrupted your tunes? Don't worry, Hive 2 has call handling, so you can talk hands free and then return to your music.